beyerdynamic DT 240 Pro. YBLTV Review by Wolfgang Nava. While doing homework or just relaxing in the house, I love listening to music. So, I am excited to review beyerdynamic DT 240 Pro. 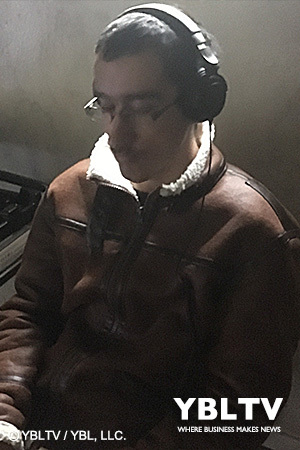 Around October of 2017 beyerdynamic released the DT 240 Pro – a closed studio headphone for monitoring sound. Let’s first take a look at the pricing of these headphones. For only $99, you are getting some awesome quality headphones. Studio headphones have a wide range of prices, some of which fall in the range of $129-$500… and others between $19-$70. So, you really cannot go wrong paying $100 for a good quality pair like these. Sound quality is key with any console. As soon as I played a song, most of the outside noise was gone — which made listening to my music all the more relaxing and enjoyable. I did not hear static or experience any issues when I turned up or down the volume. The beyerdynamics DT 240 Pro is very well designed. The headphones have a function where you can have them in a flat design so that they are easy to put away. Another design feature I like about the headphones are their color — solid black makes a bold statement. Comfortability is also very key to a good design. As soon as you put the headphones on – you instantly feel the wideness of the headphones covering your ears —perfectly. And lastly, headphones must have durability— the wire is a major area that plug-in headphones can have issues with. No need to worry about the wire provided with beyerdynamics DT 240 Pro — it is thick and durable. 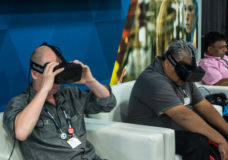 A minor issue I see with these headphones is its stereo jack and mobile usage. 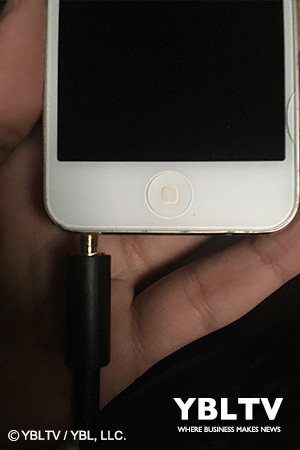 As I was plugging my headphones into my mobile device, the stereo jack was sticking out a little too much. This may or may not be an issue for others. beyerdynamics DT 240 Pro is an excellent buy – both for those of you who love music and those who record music for a profession! 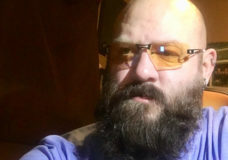 Disclosure of Material Connection: YBLTV Writer / Reviewer, Wolfgang Nava was provided on loan the beyerdynamic DT 240 Pro from beyerdynamic in consideration for a Product Review. 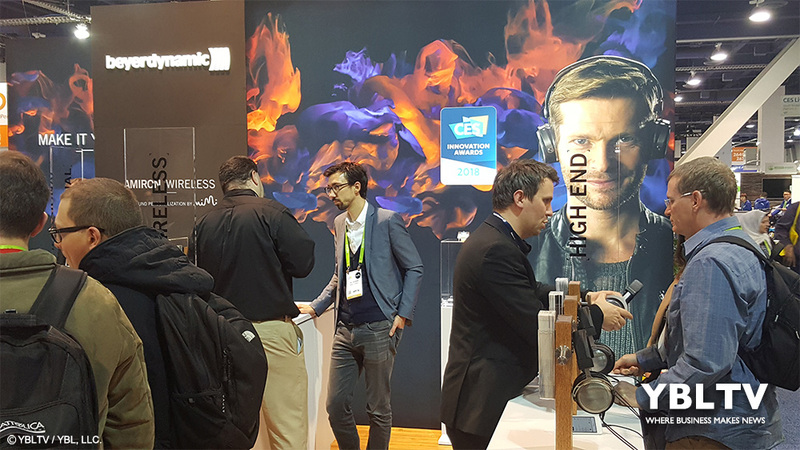 beyerdynamic, Inc. was an Exhibitor at the 2018 CES Show in Las Vegas, NV. 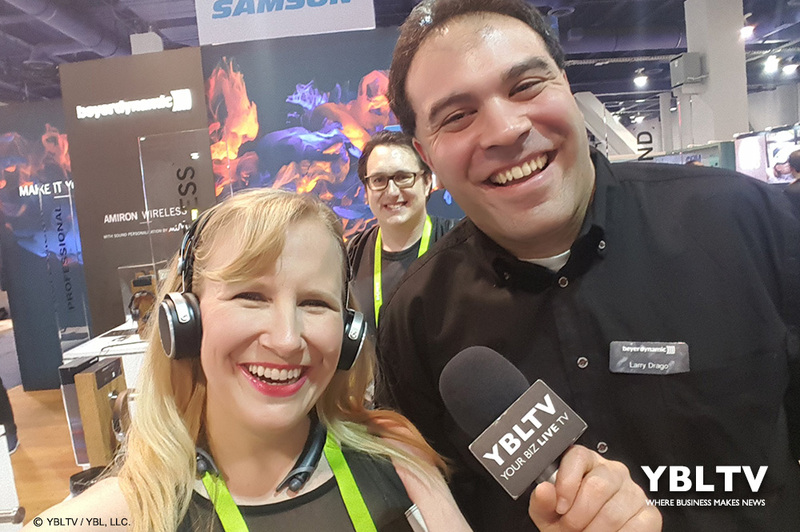 beyerdynamic Marketing Manager, Larry Drago and YBLTV Multimedia Producer & Anchor, Erika Blackwell at the 2018 CES Show, Las Vegas, NV. 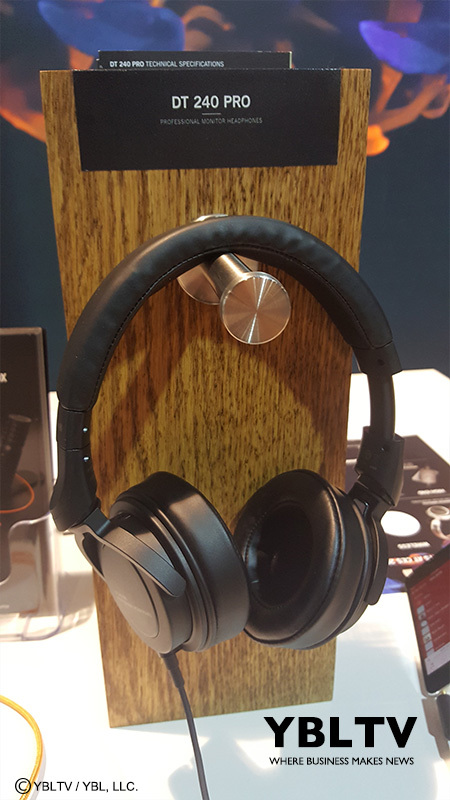 beyerdynamic, Inc. at the 2018 CES Show, Las Vegas, NV.